Beginning in January 2017, we at Mr. 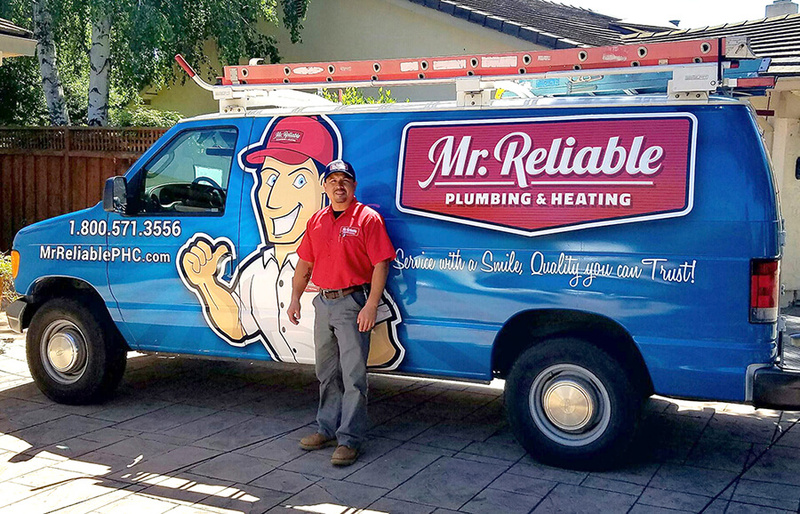 Reliable Plumbing & Heating underwent a complete overhaul of our online and social media presence—which means great things for you! First off, we are happy to announce our new website! Designed with you in mind, it’s built to give you direct, one-click access to everything you need to keep your home safe and all your plumbing, heating, and cooling appliances in working order. With just one click you can check out all our current deals to help you save money on the maintenance you need, or you can schedule an appointment via email or by phone. If you’re on a mobile device, just tap any button and you’ll be able to contact us directly from your device. Busy on social media? You can connect with us on your favorite social media platform from any page on the website. Through all these new online resources, you can make sure you’re always up to date with the latest local news, interesting events, and current #Reliable offers. Most importantly, whether you’re looking for DIY tips, making an emergency drain call, or finding out how you can leave us an online review, our new site is designed to make your experience easy, intuitive, and enjoyable. Head on over today and check out our new website, and give us a like or a follow on social media. We want to hear from you! Let us know what you think about our online makeover by liking us and leaving a comment and/or review on our new Facebook page, and we’ll send you a digital coupon for $25 off your next Mr. Reliable service! Thank you again for your loyalty and for the opportunity to take care of all your plumbing, heating, and air conditioning needs. Follow us on your favorite social media platform and let us know what you think about Mr. Reliable’s EXTREME Digital Makeover, and we’ll give you a $25 coupon!